Pylon Network – Updated roadmap is out! 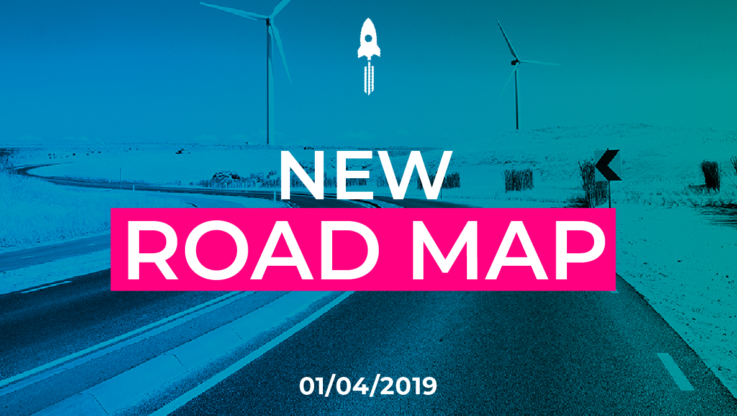 Today we are happy to publish our updated roadmap for 2019 – presenting the targets and milestones set for this year by Pylon Network team. The roadmap has been updated on our webpage – here – and focuses on technical and adoption-related milestones of Pylon Network (i.e. blockchain tech). This post will take you through Pylon Network’s milestones for 2019 – read through these lines, to get better insights on what’s in store for Pylon Network until the end of the year. The first round of installations for the Federated Nodes of Pylon Network will take place with the participation the first Spanish energy stakeholders joining and supporting the operation of Pylon Network’s Neutral Data Hub. After receiving the invaluable feedback from the wallet beta testers of Pylon Community, the reviewed and improved version of Pylon wallets for $PYLNT & $PYLNC will be released. Self explanatory, really… We have been asked about it many times, by end of June, you will have the answers! With the infrastructure (software & hardware) fully tested and in place, the MainNet of Pylon Network is launched. Yes, this means that Pyloncoin $PYLNC is officially born! Soon after the launch of MainNet and Pyloncoin the first distribution of PYLNC to all Pylon Network stakeholders begins. As explained in our token paper (here), PYLNT holders receive a share of the PYLNC rewards. The last milestone for Q3 will be the listing of PYLNC in exchanges. The exchanges that PYLNC will be initially listed, will be announced in advance. The full operation of Pylon Network’s Neutral Data Hub is revealed to the public as the commercial efforts in Spain reach full capacity. The first energy stakeholders forming Pylon Network and utilizing the services of the NDH, are revealed to the public. The digital ecosystem of Pylon Network is completed with the inclusion of the first digital services integrated with the Neutral Data Hub, addressing to real energy stakeholders. The METRON mobile app (available in Google Play and AppStore) will be integrated with Pylon Network’s NDH and will be addressing to consumers, who want to take their energy in their hands and be part of Pylon Network’s ecosystem of energy services. We hope you enjoyed the read and you are as excited as we are for what’s in the making for Pylon Network. Stay updated – Don’t miss what is coming up for Pylon Network! Make sure to follow us on social media for staying up-to-date with all the news and progress of Pylon Network! Want to learn more? Join us on Telegram and talk directly with the team!